One of my favorite things to do, is to work with Doctors to increase their profitability. So many want to increase profitability, yet so many don’t understand where profitability comes from. You have heard it from your account, maybe your CPA, maybe from numbers thrown around at dental meetings, but do you really know what effects the profitability of a dental practice. Before we start, let me remind everyone that profit is delineated in dollars. And if your ONLY focus is dollars, you will have problems because your team can sense that, your patients can sense that your only focus is on dollars. If we are consistent at doing the right things for our patients, giving our patients the option to receive the highest level of care, we can be focused on profitability without being focused on dollars. I want to make sure that everyone sees the difference between the two. I have created a formula that I have shared with our members, it’s the formula that my CEO mastermind group uses to drive their decisions. And when you really dive into the formula you will see that it’s really only about how we can provide that higher level of care for patients, how we can do that consistently, how the entire team can do it, and how we can offer our patients the best care. It is (visits) x (production per visit) x (collection percentage) – (overhead) = profits. Pretty simple formula, right? Five boxes is really all you need to know to drive your practice. But, how do we affect each one of those numbers? And, what are the things that we should work on first are the bigger questions. Call Answering. We know that on average, only about 60% of the incoming calls to practices get answered and 1 in every 10 calls is a new patient. This leaves great opportunity for every practice – and an easy way to increase new patients without any additional marketing. Call Conversion. Answering the calls is only half the battle. The other half of the battle, is getting them converted to an appointment. Do you regularly listen to the calls that come into your office? The ability to convert a call to an appointment doesn't happen automatically, there has to be a system and training in place in your office to ensure that everyone who answers the phones is able to convert the call to a patient. Re-Appointment: We know that reappointment of patients is the ONE, of all the numbers we can measure in dentistry, the one that is the most highly correlated with profitability. The only reason that this is not the first thing on my list, is that profitability goes up proportionally and you won’t see the results of re-appointment for 6 months – this is why I work on phones first and re-appointment second. One of the things that I do immediately is add to morning huddles is the list of people who left yesterday without making an appointment. Case Acceptance: Behind re-appointments, this is the second leading indicator of your profitability. Teamwork Column: Formerly known as the ghost column. When this is mastered as a tool to manage canceled and failed appointments, profitability and visits go up. I recently conducted a training for our High Level Blue Diamond Coaching Members on the Dental Practice Profitability Formula. I am making it available for readers of the Team Training Institute Blog, for a short period of time. 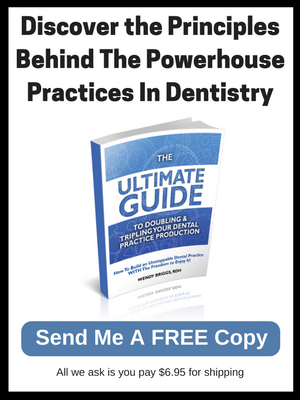 The full Dental Practice Profitability Formula and HOW to change the numbers in your favor ... never have to guess again. How you can quickly and easily have these numbers at your finger tips every month. 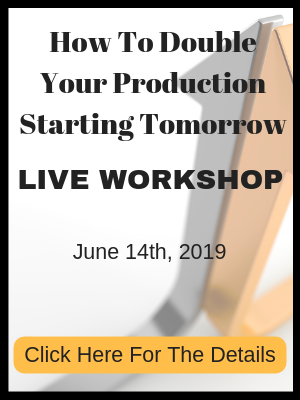 This isn't a webinar or a 1-time only access, simply request access to the video below and you can watch the training at your convenience. But don't delay, I won't be able to leave this up for too long - our members pay every month for access to trainings like this. 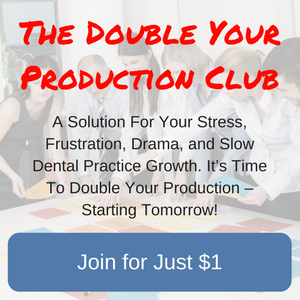 I thought this was to important not to share with the dental community, and I have talked about the formula before, but I have never gone into this much detail on exactly what to do with every step to increase your profitability.